For the first time, the Mississippi School for Mathematics participated in the Team Mathematics Competition at the Louisiana/Mississippi section meeting of the Mathematical Association of America. The team competition took place at Mississippi College in Clinton, MS on Friday, February 22. The three-hour competition attracts top math majors at colleges and universities across Louisiana and Mississippi and tests knowledge of all undergraduate mathematics. 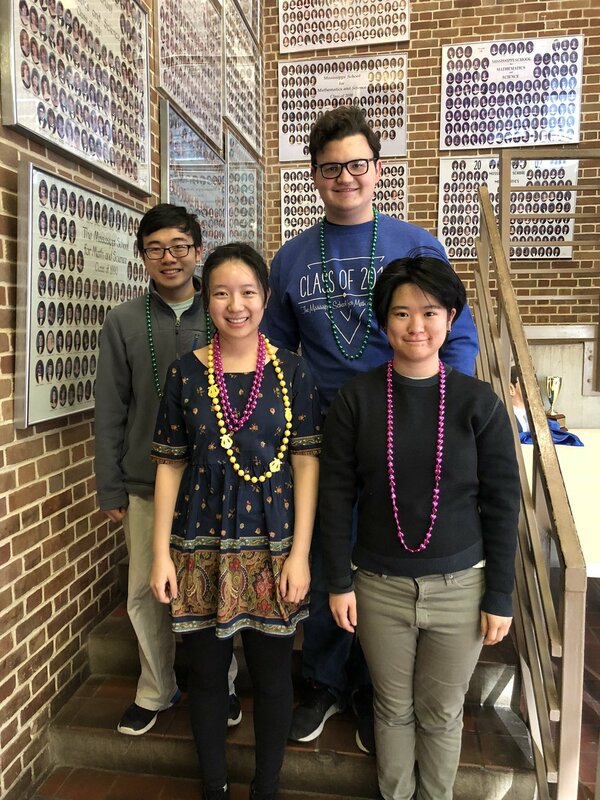 MSMS was the only high school participating in the competition, and team members Connor Chitmon, Victoria Gong, Michelle Luo, and Hamilton Wan placed first in the competition. The top 3 teams are listed below. Congratulations!